Earlier in the week the majority of small cap charts were turning negative. That changed in the last 24 hours of market activity. 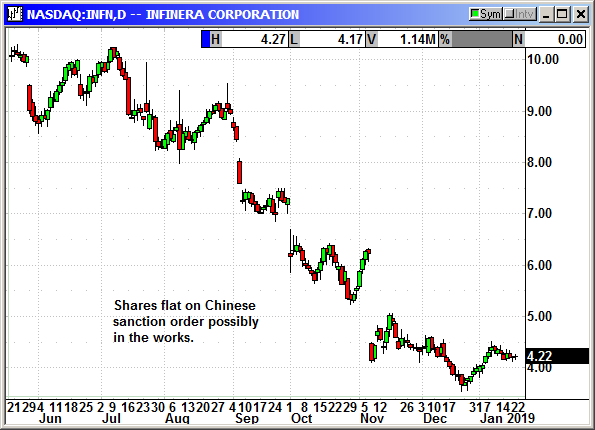 When the China news began to appear on Thursday the small caps turned up. 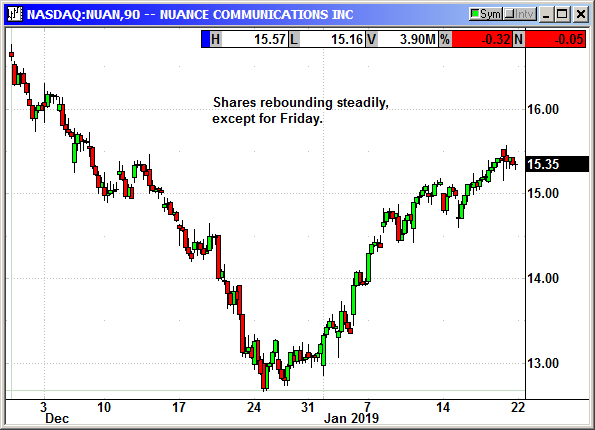 When confirmation appeared on Friday, the leaders rebound sharply to return to their prior three week trend. 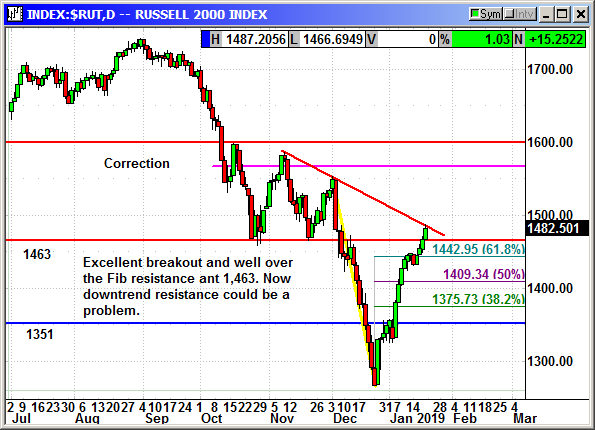 The Russell surged past resistance at 1443 and 1463 to come to a dead stop at downtrend resistance. This will be the hurdle for next week with round number resistance at 1,500 if the index can reach it. The chip sector was weak until Friday and that weighed on AMD and the Nasdaq. 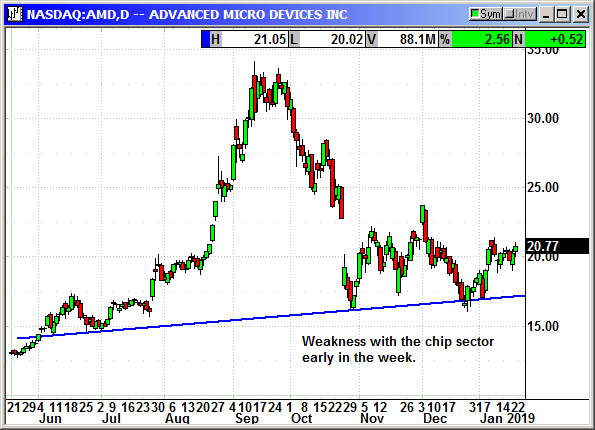 AMD rebounded Friday to close at a 7-day high. Earnings coming on the 29th. Shares were flat on news the president would sign an executive order regarding networking equipment made in China. It should actually help Infinera but the sector was down on the news. No specific news. 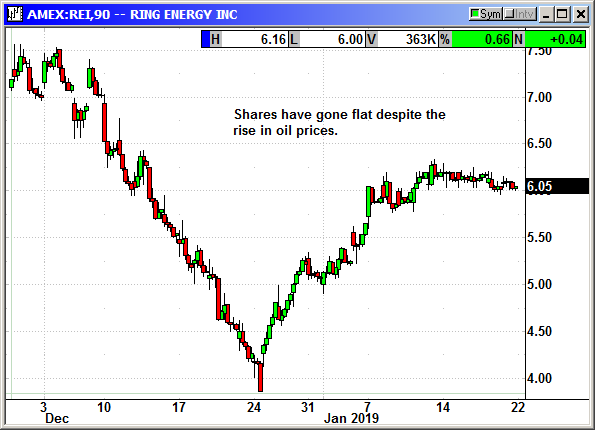 Shares still stalled despite the rise in oil prices. No specific news. 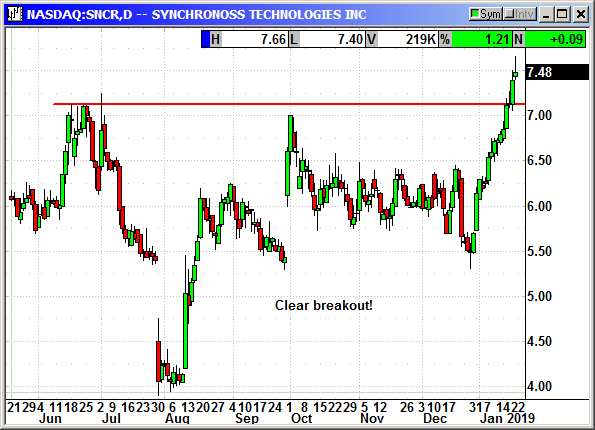 Clear breakout over resistance. 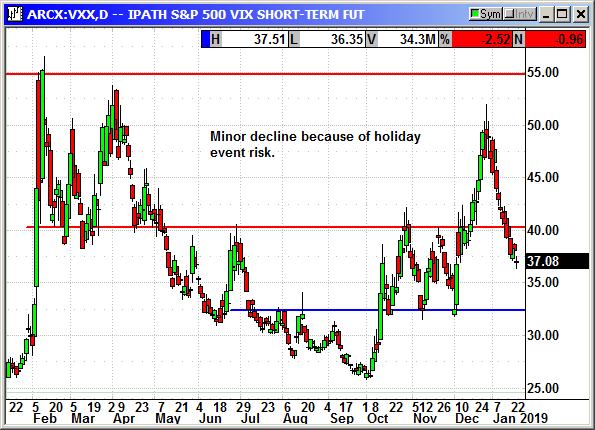 Minor decline because of holiday weekend event risk. We just need the market to remain positive for another week without any major hiccups.